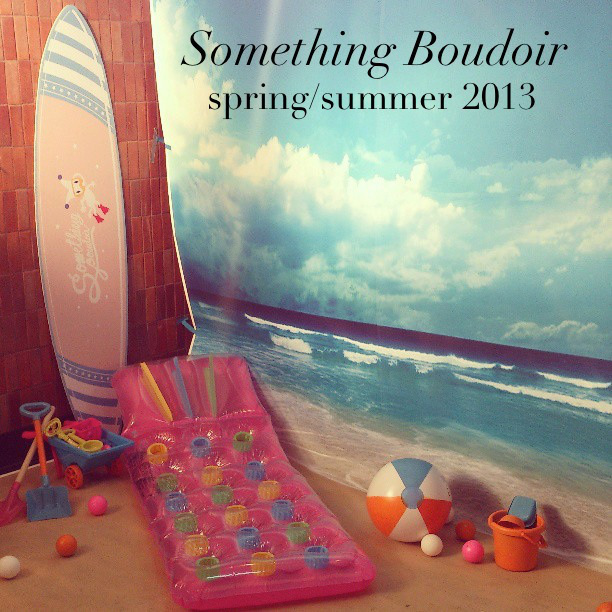 For this Spring/Summer 2013, Something Boudoir was casually portrayed as the uniform to be worn for ‘Fun in the Sun’. (The theme just made me want to take a beach holiday already!) This collection was created with a twist from a classic novel by a Swedish author, Astrid Lindgren. 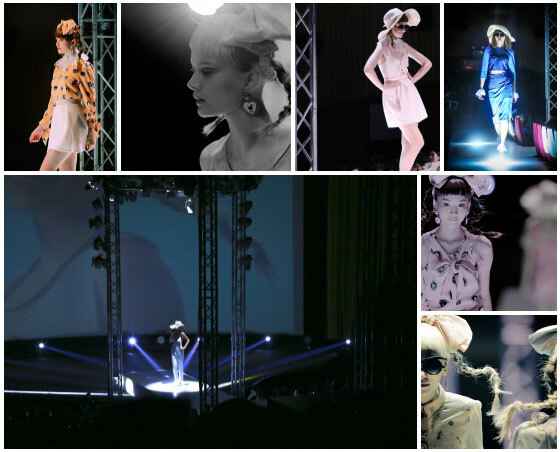 It was a psychedelic version of Pippi Longstocking combined with Disaya’s distinctive fun-quirky-feminine-spirit. This collection embodied Pippi’s daring and confident personality on the bold signature prints she presented in this collection. The designer chose to mix a few things Pippi collected along the way on her adventures like precious pins and other little treasures to make her signature “Cameo Chest” prints. 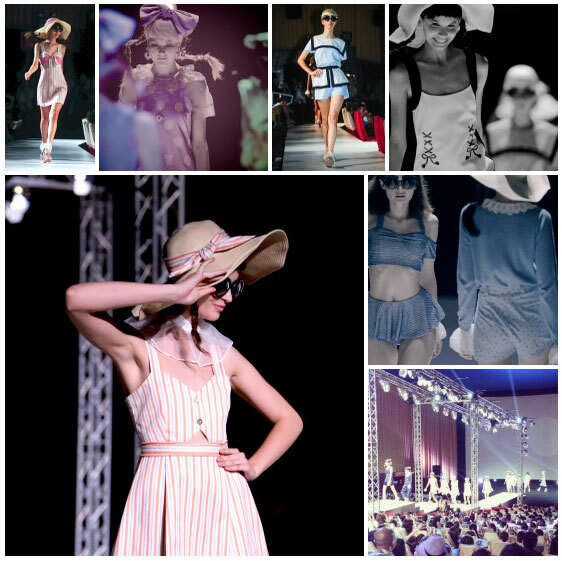 These were transformed onto all her collection including summer dresses to two-piece shirt and shorts ensemble. She was also a fan of the colour blocking trend the previous season and reworked this phenomena producing another print called “Sea Journey” in the form of a new proportion; high-waisted skirt and maxi dresses. It is clear Something Boudoir girls are growing up along with the brand itself; figure hugging and feminine shapes are more prevalent this season but the signature prints and big bows with cute accessories are a giveaway that there will always be some fun and youth in the heart of Something Boudoir. A bit about Something Boudoir: originated with ‘kids-in-a-candy-store’ attitude, aiming to excite and animate, combining the aesthetics of candy emporium with a notion of designer’s supermarket to create the world of imagination and a shopping destination for the young urbanites who love changing the world. We are a representation of fantasy and joy, and at the same time, offering modern shopping experience with dynamic and innovative environment that are full of fun and the constantly updated product range that will continually surprise our customers. There is a continuous sense of discovery once customers step into our world. One can explore the colourful candy land with visually mesmerizing displays as well as immerse in the sea of wearable candies. Something Boudoir carries over countless kinds of merchandise, ranging from women’s fashion apparels to accessories to cosmetics to stationery and many more that are parts of your lifestyle. Arm candy, eye candy, anything candy you name it! Our affordable, yet uniquely amusing assortments represent style and personality – an intermixture between street and designer that always filled with light-hearted motifs and the ability of telling stories about the wearer. Brought to you by the same team behind Disaya, Something Boudoir ensures unparalleled designs and endless possibility of fun. 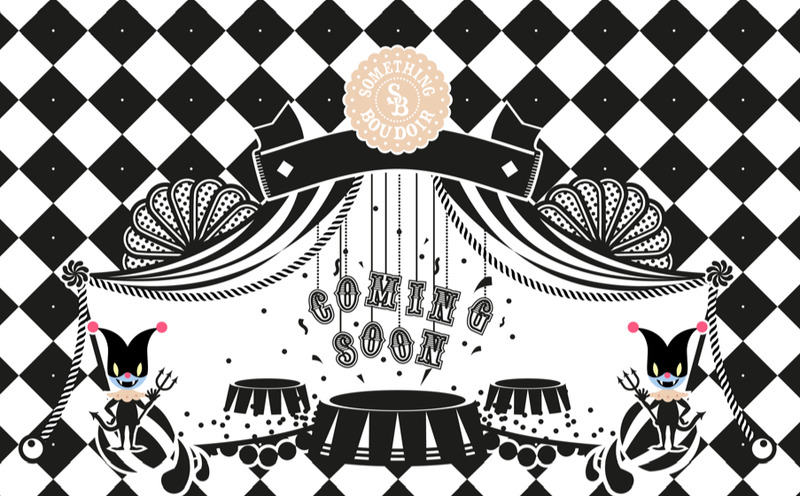 www.somethingboudoir.com, www.facebook.com/somethingboudoir Instagram: @somethingboudoir Credit: A-list Something Boudoir for company description and press release. Photo credit: Some to June and Nampeung and Instagram page.